Last month, MySpace made a splash with its announcement that it had just grown by 1 million new users. I personally thought it was just 50,000 or so Hoobastank tribute bands and Rock of Love contestants, but it appears we have 1 million new, gentrified users among them. Who would have thought? Blackberry’s like the MySpace of mobile operating systems – everyone predicts a nosedive. However, our aggregate data based on a global network of 200,000 publishers who reach more than 270 million unique monthly readers indicates that Blackberry is actually a bit of a comeback kid as well. 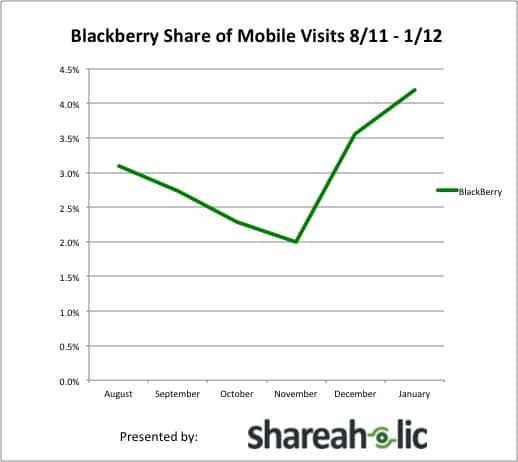 Visits from the Blackberry OS actually increased by more than 50% from November 2011 to the end of January 2011. Shut the front door, right? Not really, though. In December, deep price cuts on the Blackberry Playbook led to a marketshare jump over the iPad in Canada. And while the iPhone and Android continue to dominate in America, on a global scale Blackberry is still quite popular. South Africa is one example. Another notable OS is the Android. 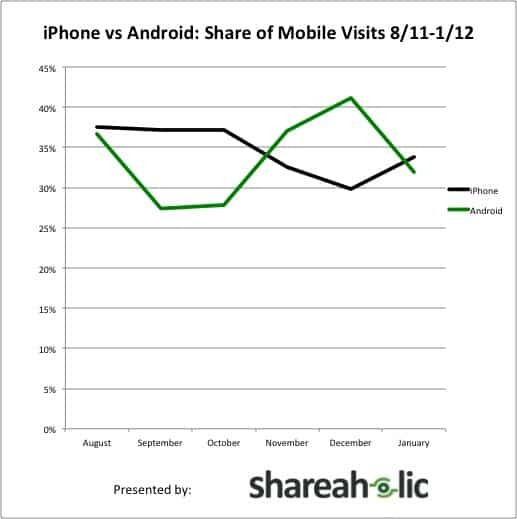 Android surpassed iPhone as the top traffic driver in December, but dropped back to number 2 in January. Here is a complete 6-month breakdown. So what does this mean for publishers? 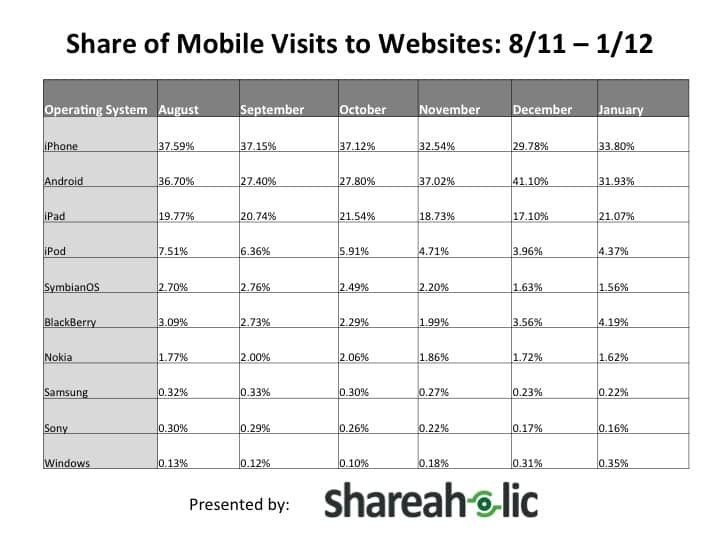 Mobile traffic is up, so be sure that your website is optimized for mobile. This is particularly important if you’re offering location-specific content. According to Google, local searches account for around 40% of mobile searches. So when considering which OS to optimize for, don’t discount Blackberry quite yet. Most importantly, make these decisions based on your own audience. 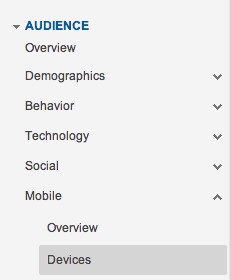 You can discover mobile trends for your very own blog under Google Analytics/Audience/Mobile. This is how you can learn what devices your readers use when they consume and share your content on the go. What mobile trends have you noticed on your blog? Miss your Blackberry? Let me know in the comments. Be the first to get Shareaholic’s Monthly Referral Traffic Report straight to your inbox. Join the Shareaholic community to sign up.